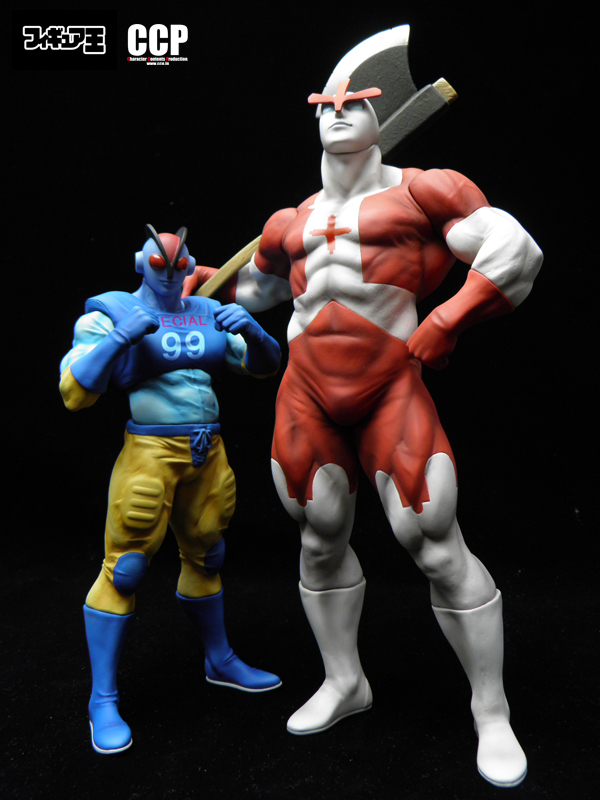 While the flagship Kinnikuman Muscle Shop resides in Koenji, the BamBam88 crew runs a few temporary specialty shops throughout Japan at any given time. 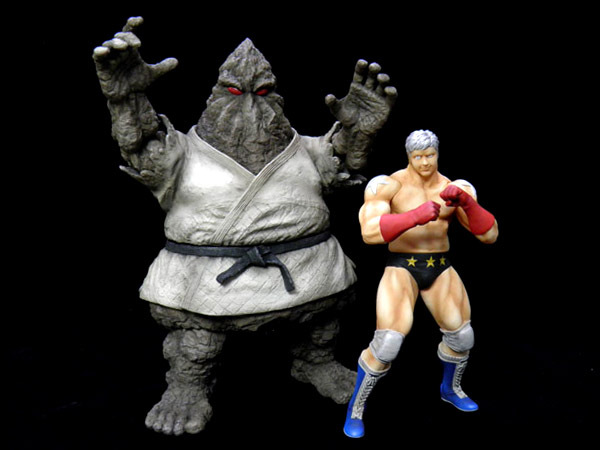 The idea is to give Niku fans throughout Japan access to exclusive Kinnikuman merchandise, while also creating direct geographical significance to the actual store location. The Sunshine City shop for example is a nod to the character Sunshine, as Yudetamago named and designed him after the Sunshine 60 building. Where this particular shop is located in the Sunshine City complex, many of the exclusive shirt designs featured Sunshine hovering menacingly over the building's exterior. I have been to a few of these over the years, and have to say that this location is without a doubt one of the best setups I have seen. 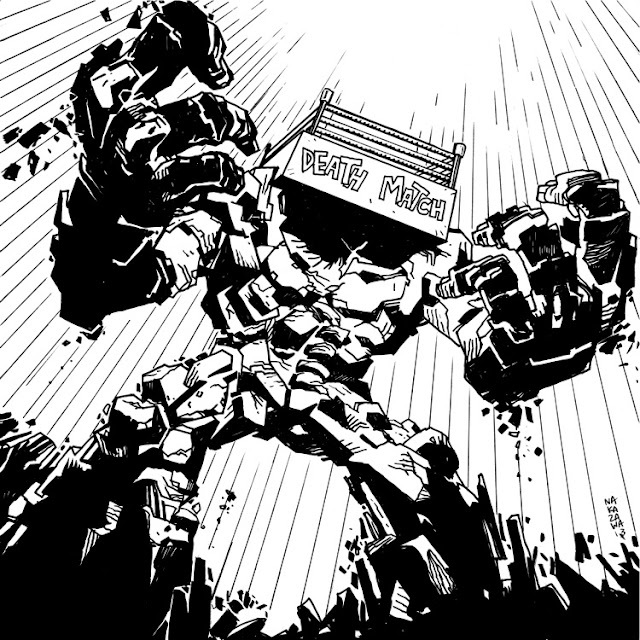 The selection of T-Shirts, hats, accessories and toys is top notch, with plenty of Gaijin friendly sizes in almost every design to boot! 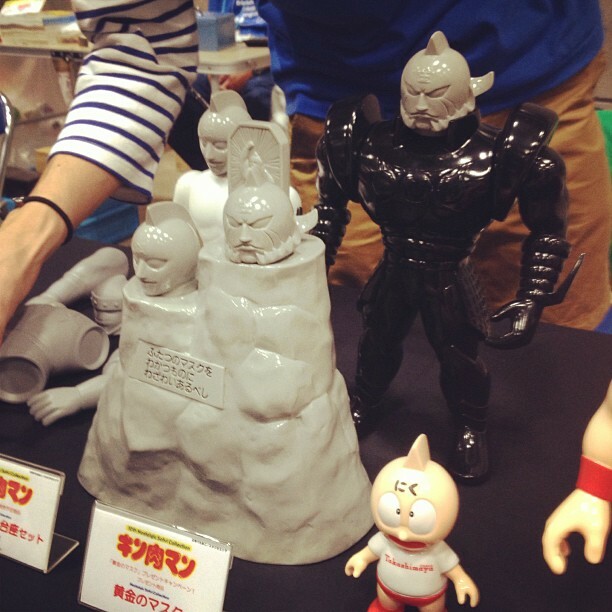 I was also impressed with the friendliness of the staff, and the awesome Kinnikuman music playing in the background. 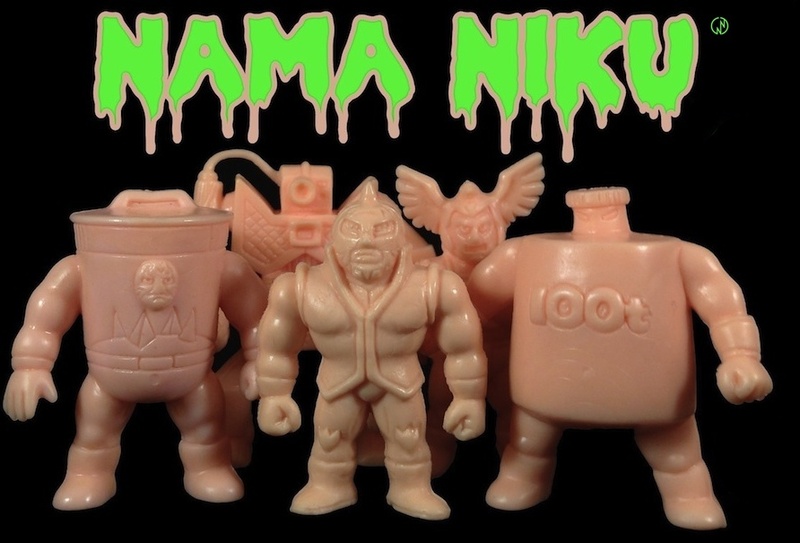 Also check out the Ninja + Goldman & Silverman! 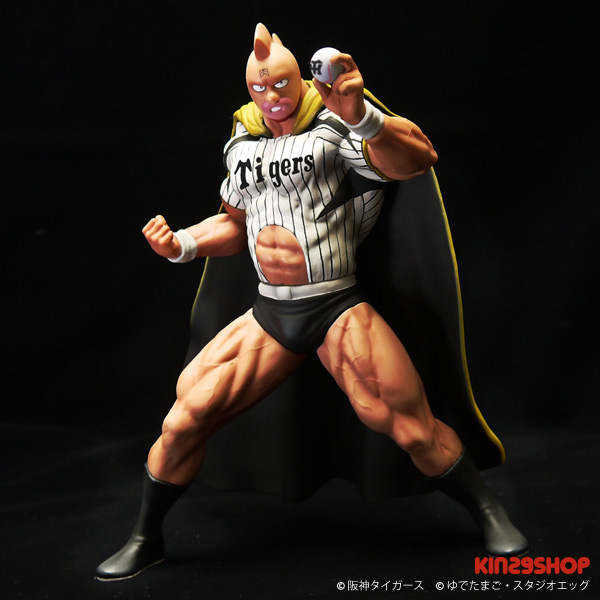 Check out the rest of the Kinnikuman x Hanshin Tigers Collaboration Exclusives HERE!